As stated on the first page, here we take both APUs from DDR4-2133 to DDR4-3466 and run our testing suite at each stage. For our gaming tests, we are only concerned with real-world resolutions and settings for these games. It would be fairly easy to adjust the settings in each game to a CPU limited scenario, however the results from such a test are mostly pointless and non-transferable to the real world in our view. Scaling takes many forms, based on GPU, resolution, detail levels, and settings, so we want to make sure the results correlate to what users will see day-to-day. First up in our APU gaming tests is Civilization 6. 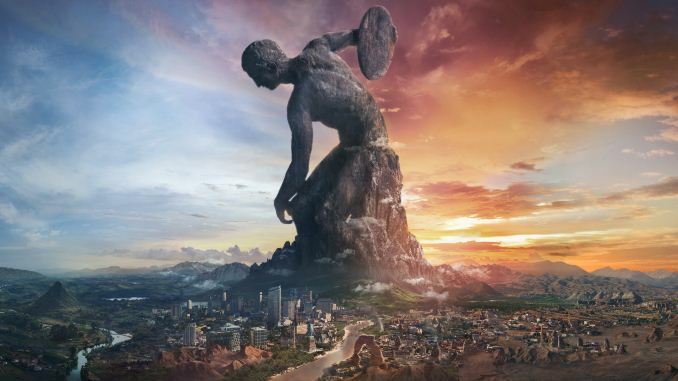 Originally penned by Sid Meier and his team, the Civ series of turn-based strategy games are a cult classic, and many an excuse for an all-nighter trying to get Gandhi to declare war on you due to an integer underflow. Truth be told I never actually played the first version, but every edition from the second to the sixth, including the fourth as voiced by the late Leonard Nimoy, it a game that is easy to pick up, but hard to master. 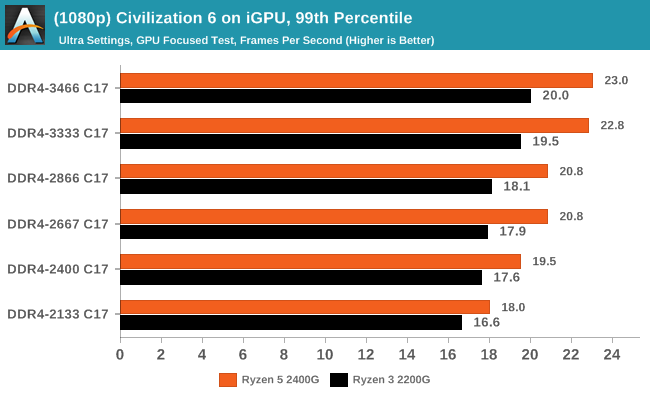 Civilazation 6 certainly appreciates faster memory on integrated graphics, showing a +28% gain for the 2400G on average framerates, or a +13% gain when compared to the APU rated memory frequency (DDR4-2666). 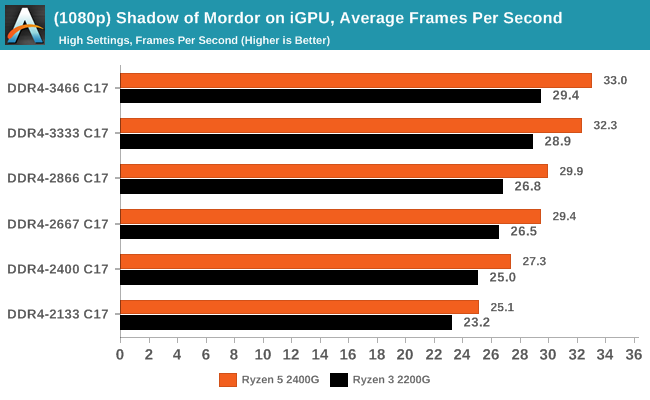 In Ashes, both CPUs saw a 26-30% gain in frame rates moving from the slow to fast memory, which is also seen in the percentile numbers. One of the newest games in the gaming benchmark suite is Rise of the Tomb Raider (RoTR), developed by Crystal Dynamics, and the sequel to the popular Tomb Raider which was loved for its automated benchmark mode. 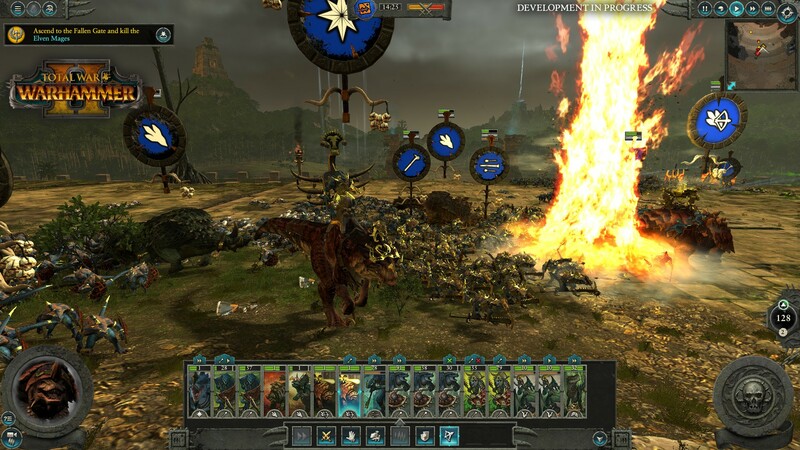 But don’t let that fool you: the benchmark mode in RoTR is very much different this time around. 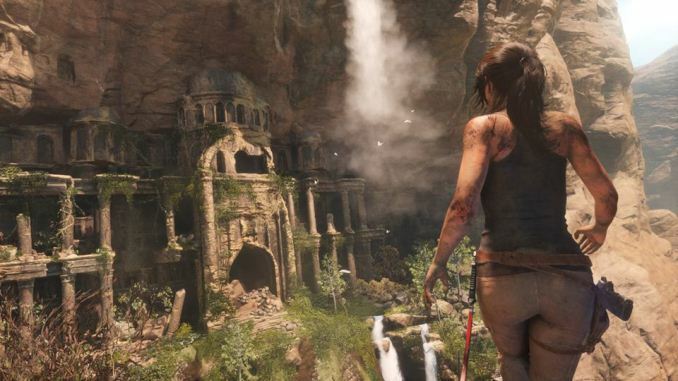 Visually, the previous Tomb Raider pushed realism to the limits with features such as TressFX, and the new RoTR goes one stage further when it comes to graphics fidelity. 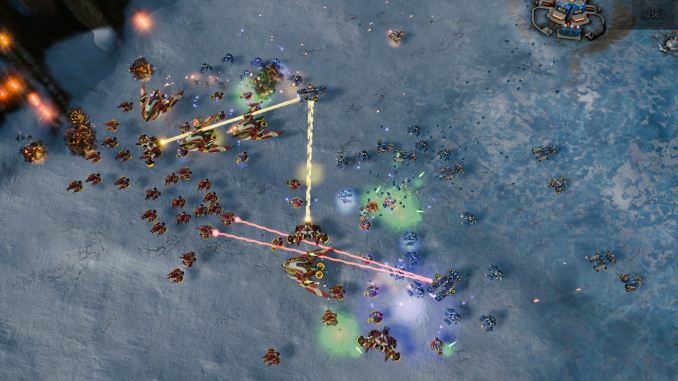 This leads to an interesting set of requirements in hardware: some sections of the game are typically GPU limited, whereas others with a lot of long-range physics can be CPU limited, depending on how the driver can translate the DirectX 12 workload. 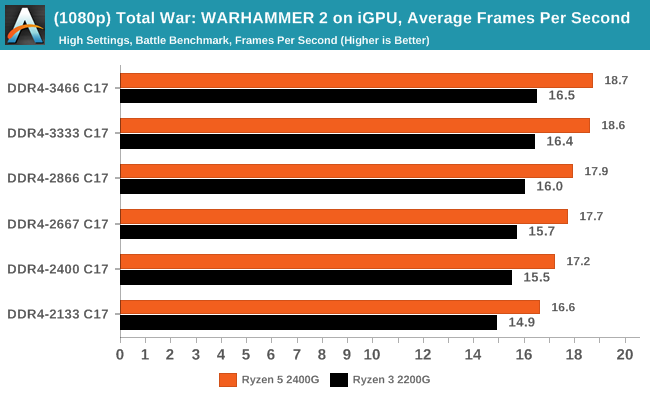 Both CPUs saw big gains in RoTR, however it is interesting to note that the 2400G gained margin over the 2200G: at DDR4-2133, the difference between the two APUs was 12%, however with the fast memory that difference grew to +20%. 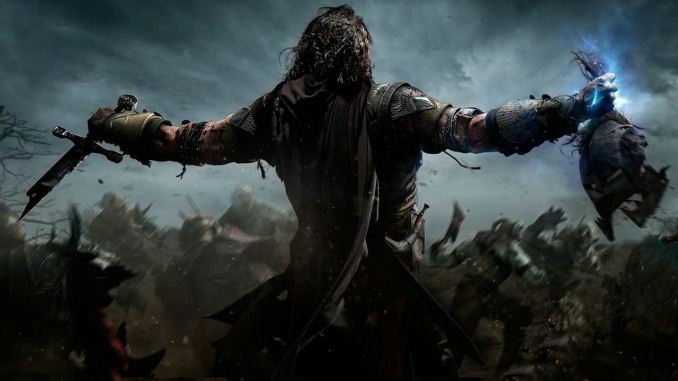 Shadow of Mordor also saw results rise from 26-32% for average frame rates, while the percentiles are a different story. 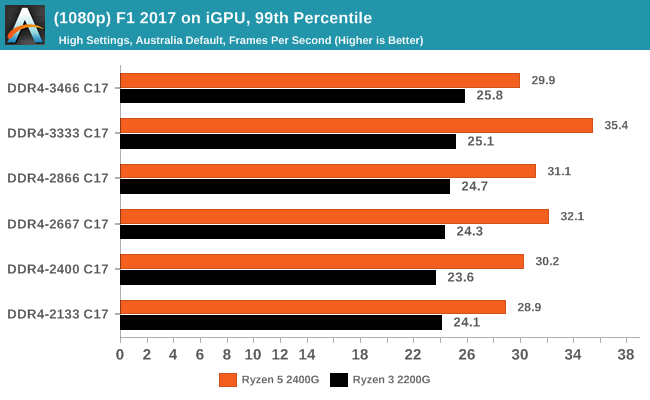 The Ryzen 5 2400G seemed to top our at DDR4-2866, while the Ryzen 3 2200G was able to keep going and then beat the other APU. 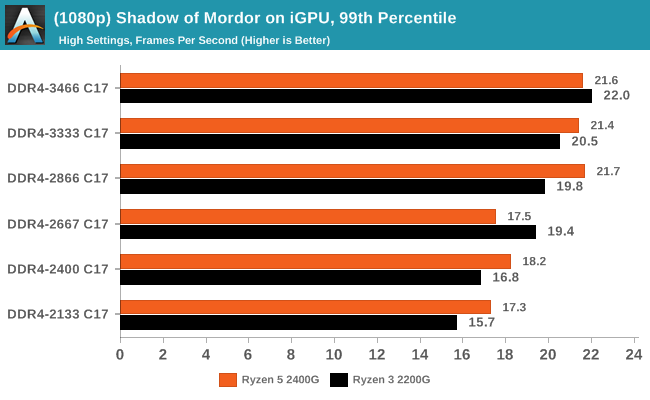 This is despite the fact that the 2200G has less graphical horsepower than the 2400G. 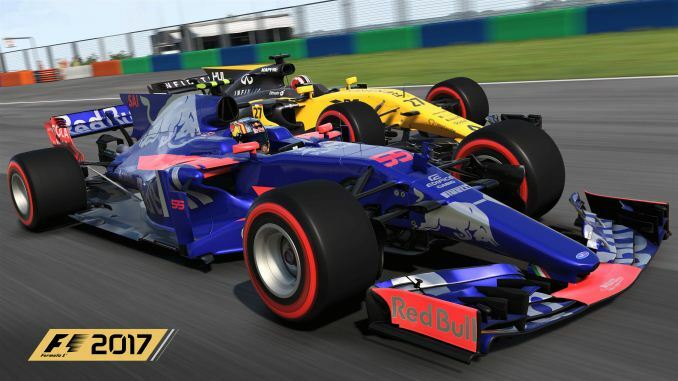 Codemasters game engines are usually very positive when memory frequency comes into play, and although positive generally in F1 2017, it didn't seem to affect performance as much as expected. 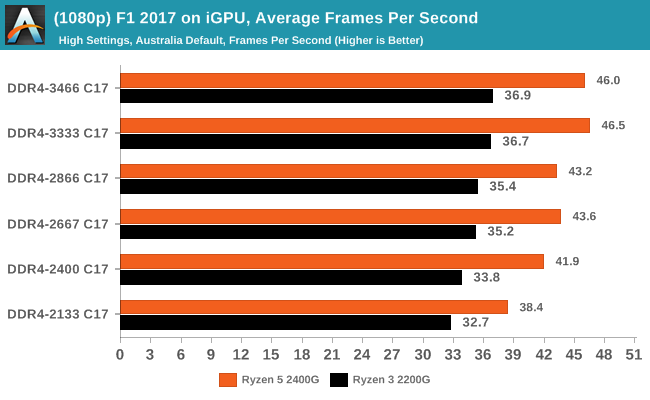 While average frame rates showed a gradual rise in performance through the straps, the Ryzen 5 2400G 99th percentile results were all over the place and not consistent at all. I don't think you understand here what's going on. Jedec is just the standard, a set of predetermined memory speed settings Bios will run RAM at. 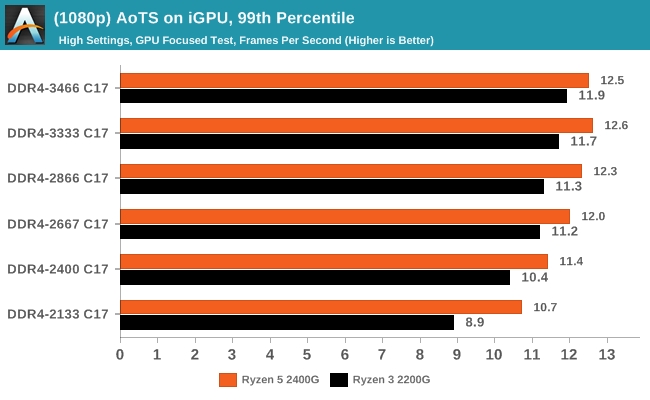 It doesn't matter if rams are Jedec 2133 or Jedec 2666mhz, both specifications are painfully slow. When you run above those Jedec specs, you use XMP profiles. Nothing more, nothing less. 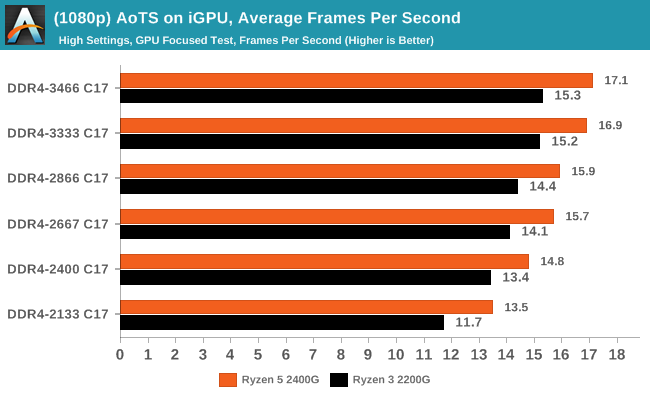 If you set up rams in XMP and copy Jedec specs, they will offer the same performance. How is JEDEC 2133 slow? It's 17 GB/s. If you run it in quad channel, it's 68 GB/s. I seriously doubt that bottlenecks most workloads. 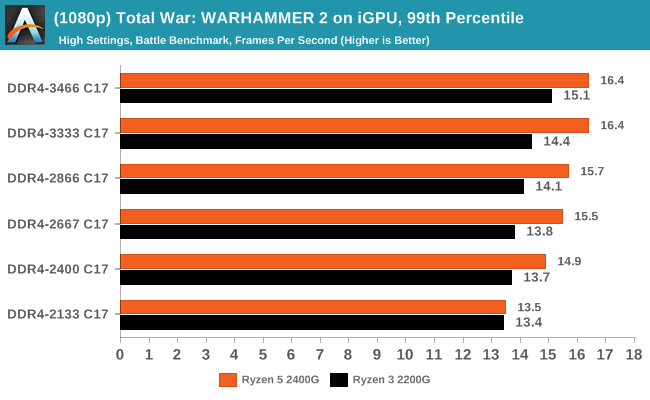 Just look at the 3DPM results, when you're actually doing calculations, and you actually decrease performance with faster memory, probably because the JEDEC standards aren't defined so the RAM and the memory controller aren't behaving perfectly which random io read/write queues. 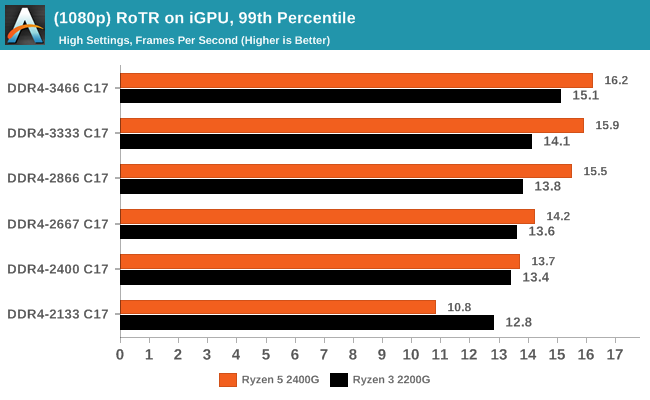 And I bet if you used registered 2133 DDR4, you would actually see a performance increase, even through there's 2-3 more controllers in the way. No. We had DDR3 for 11 years before DDR4 came out. DDR4 came out in 2014. DDR5 won't come out before 2019 at the earliest, the specs aren't even final as of today, so you don't really know what you are talking about. 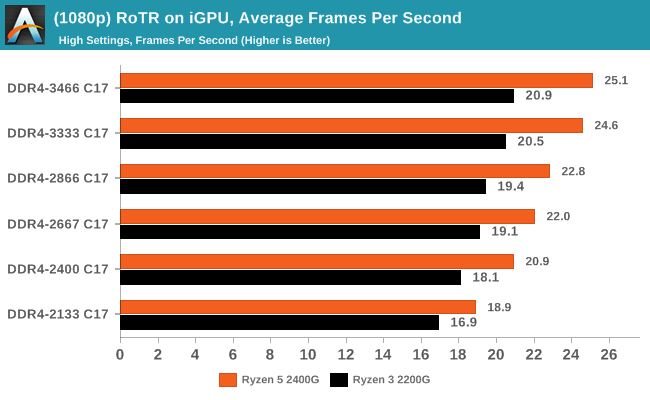 The reason that DDR ram will never be good with graphics compared to GDDR is because DDR is optimized for cisc operations while GDDR is optimized for risc operations. You could run GDDR on an apu (the ps4 does this), but this makes the CPU run slower.